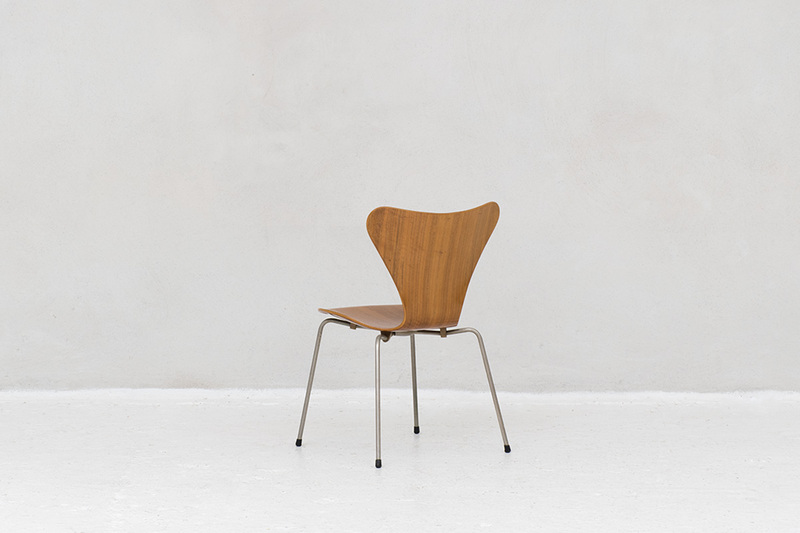 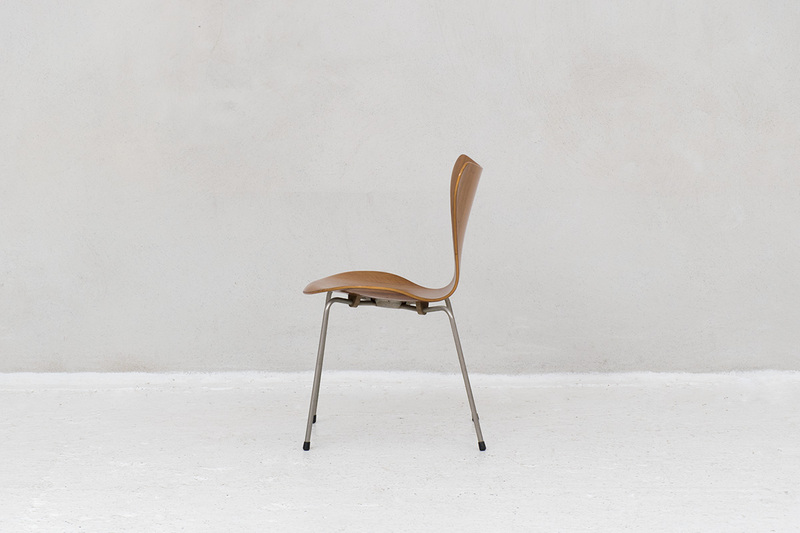 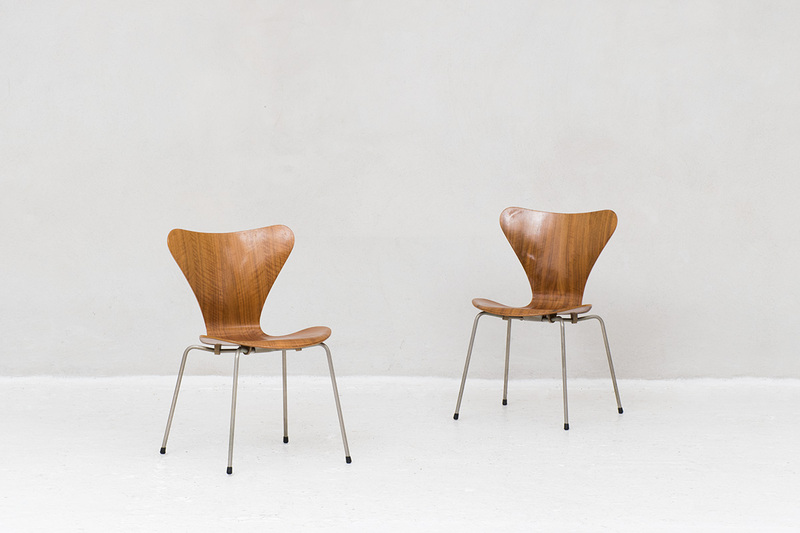 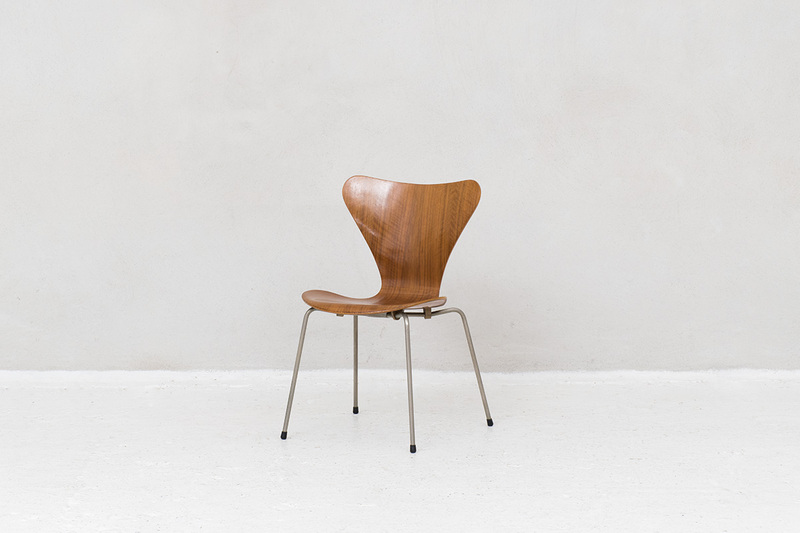 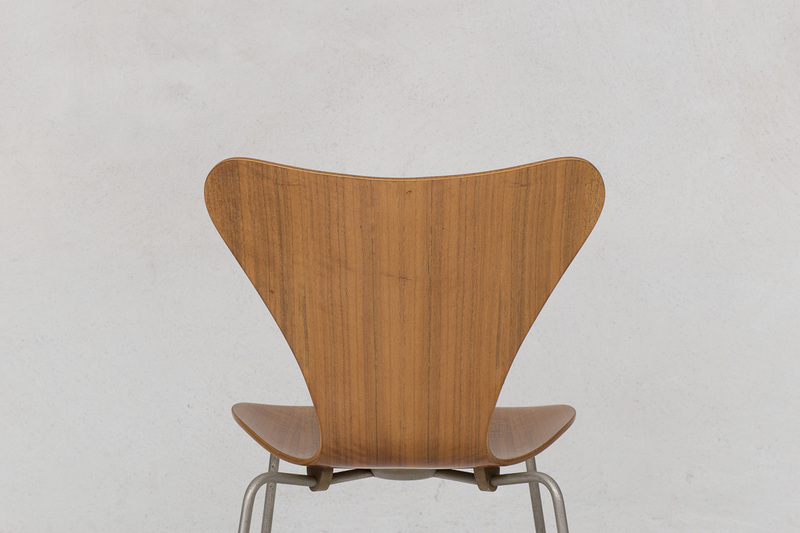 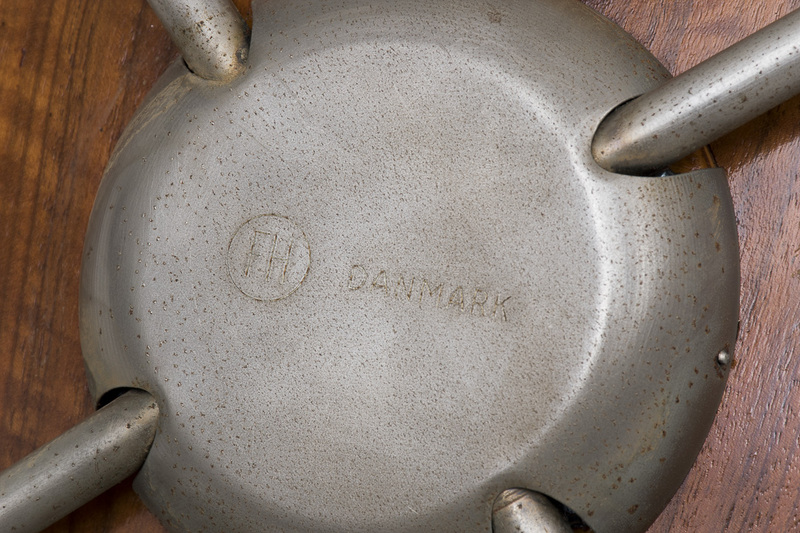 Butterfly ‘Series 7’ dining chair designed by Arne Jacobsen manufactured by Fritz Hansen in Denmark, 1955. 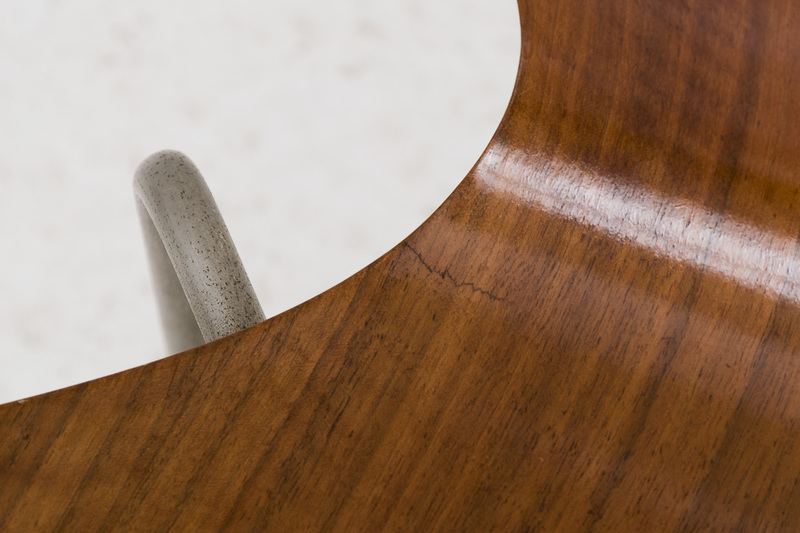 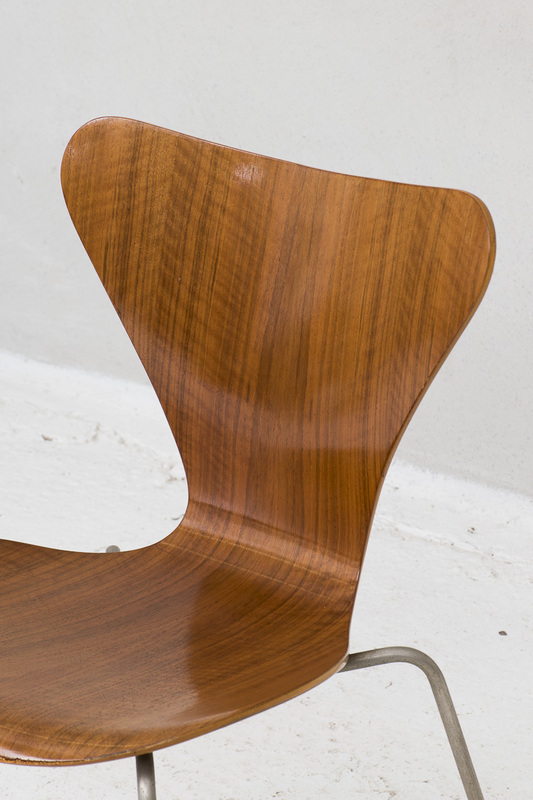 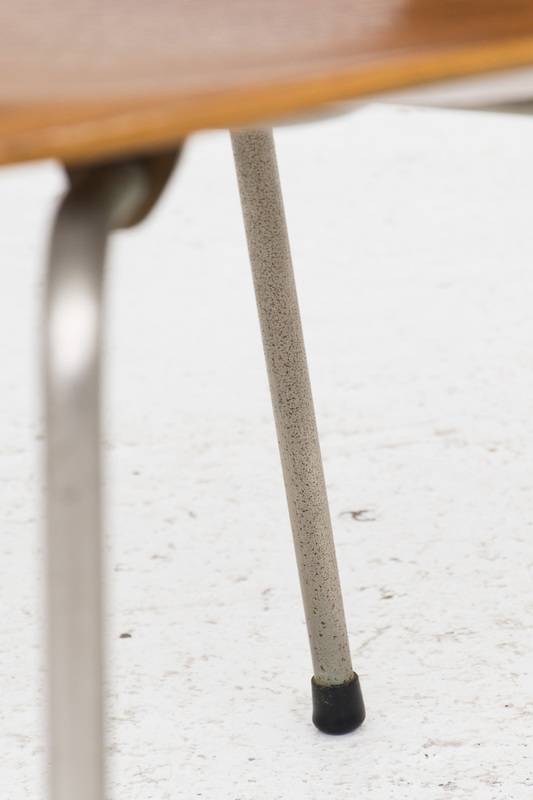 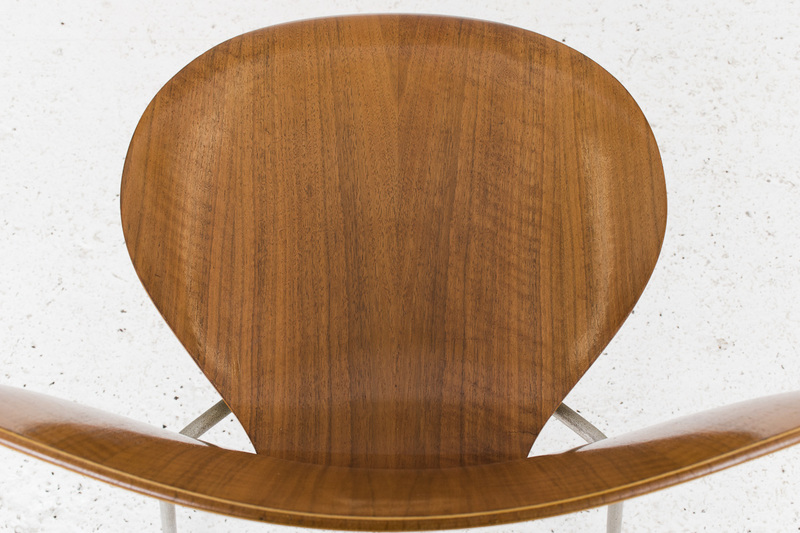 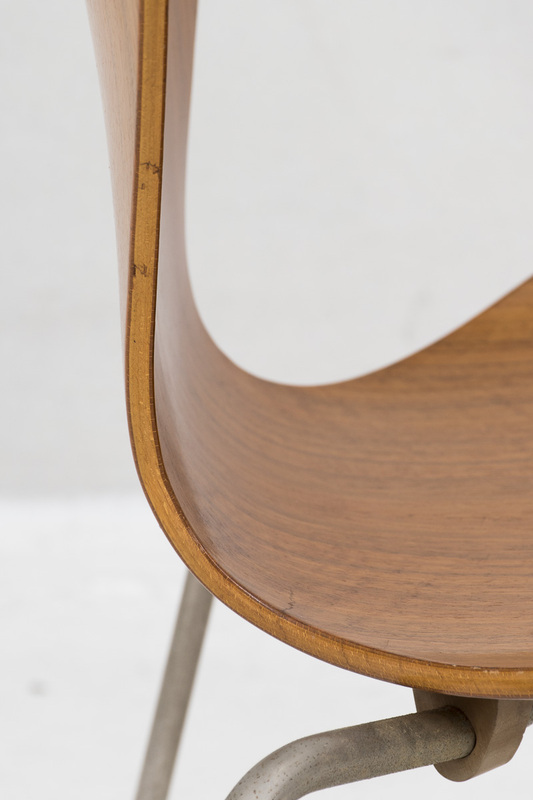 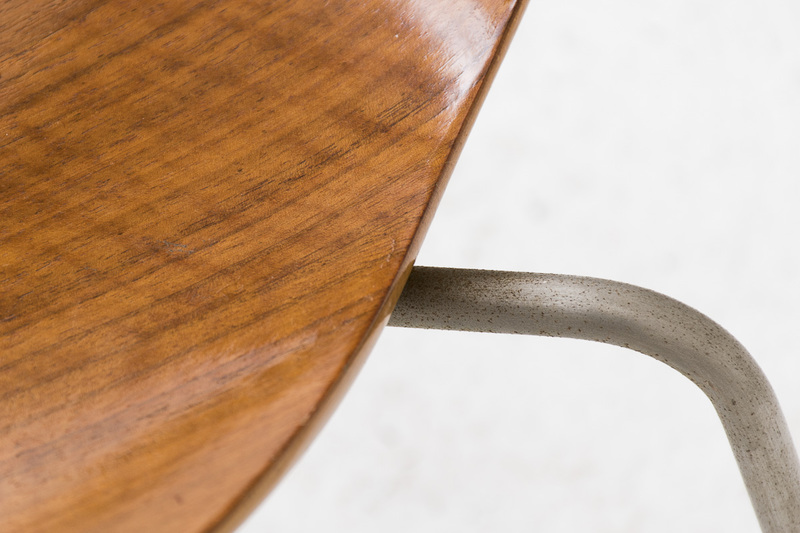 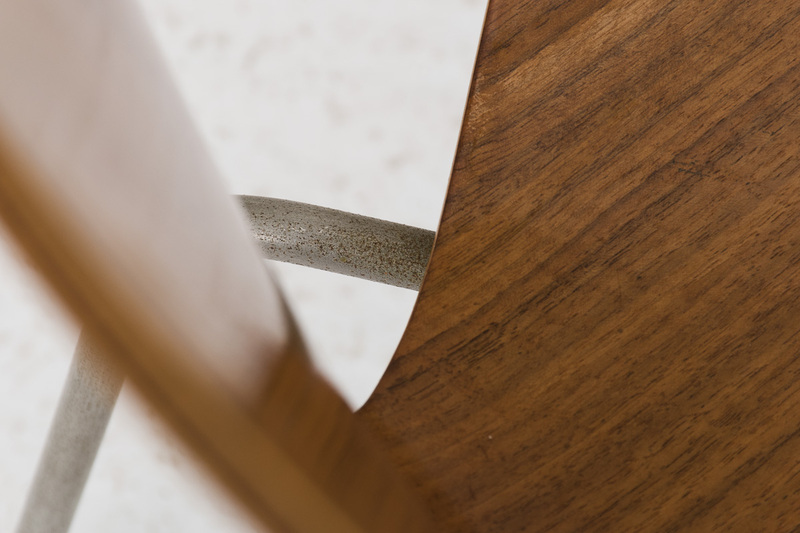 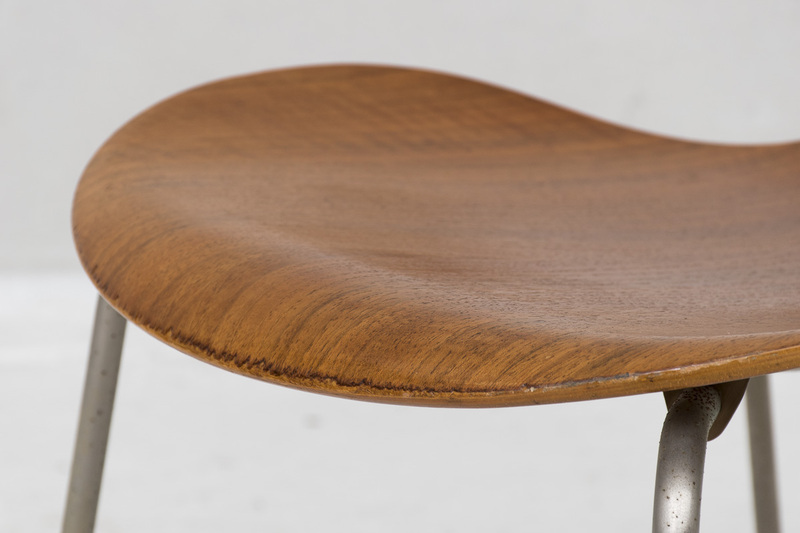 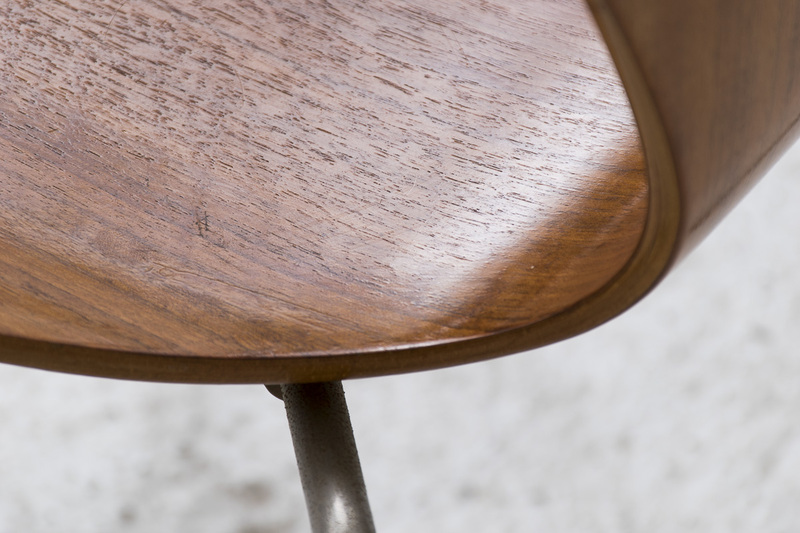 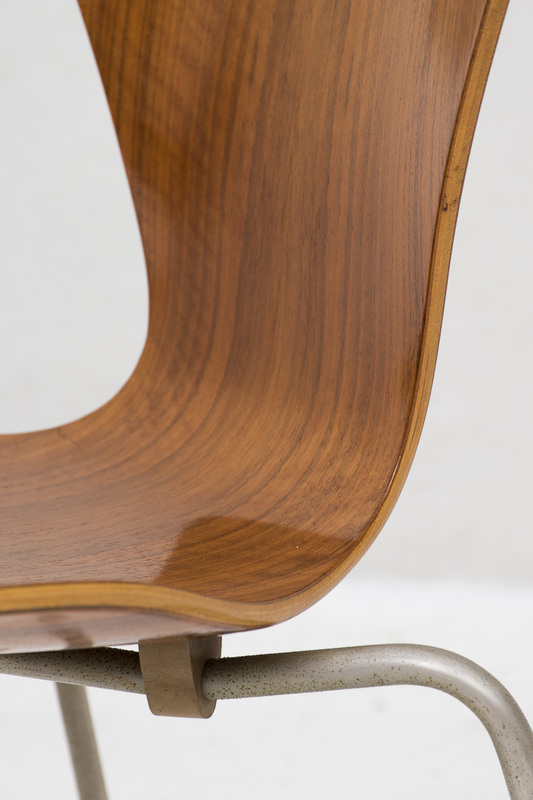 The chair has a plywood seat with a teak veneer and a chromed base with rubber protection caps on the legs. 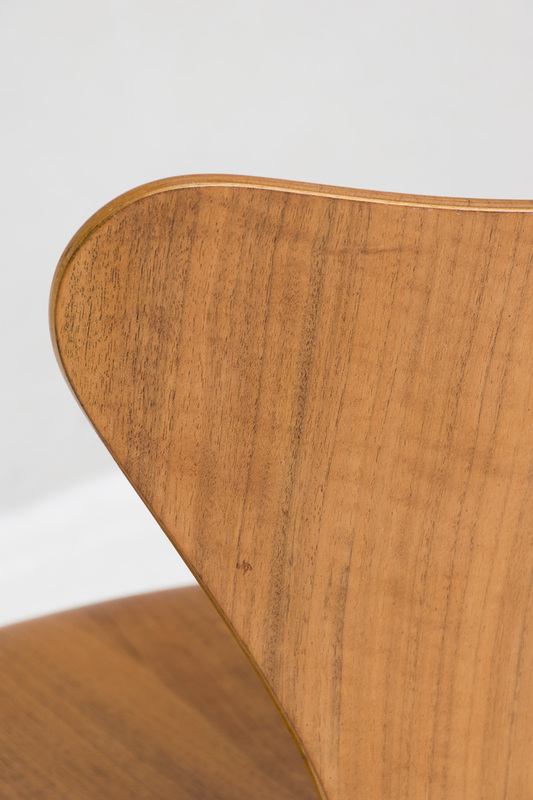 This chair has a small crack in the back as is visible in the pictures. 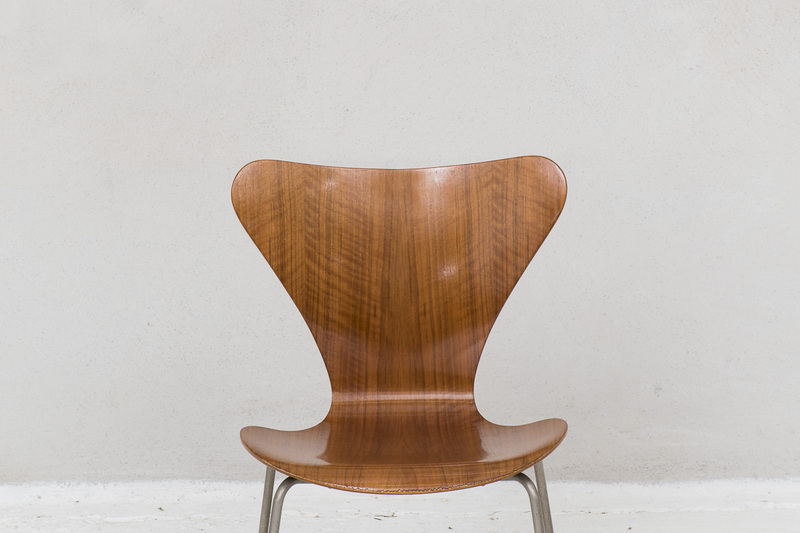 We have a similar side chair in stock.